Precision medicine aims to improve treatments for individuals, but to do so it needs information from crowds. Only by tracking the health of large numbers of people can the influence of genetics be teased out and incorporated into future tailored treatments. Scientists now report the success of such a project, the UK Biobank, which holds genetic, physical and clinical data from a large cohort of individuals in the United Kingdom. 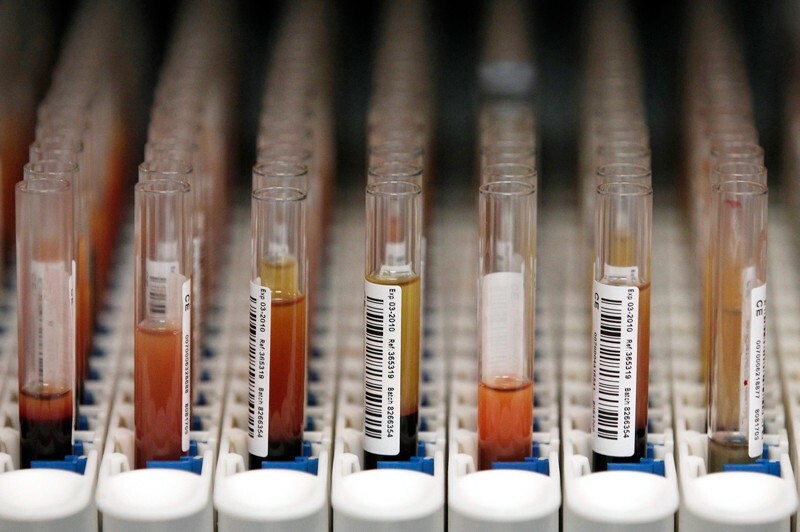 Many nations have launched biobank projects, including Estonia, Japan, Canada and Finland. Iceland was a pioneer, but the United Kingdom has gone much larger: by 2010, the UK Biobank had a prospective cohort of some 500,000 individuals, aged 40–69 at recruitment. Following this age group enables a focus on diseases of middle age and later. In this week’s Nature, researchers report the first descriptions of the full cohort, including genome-wide genetic data for all individuals (see C. Bycroft et al. Nature 562, 203–209; 2018). In a second study, researchers report brain imaging of 10,000 individuals, which reveals genetic influences on brain structure and function, and shows correlations with neurodegenerative, psychiatric and personality traits (see L. T. Elliott et al. Nature 562, 210–216; 2018). Such findings are invaluable, but the usefulness of the UK Biobank project goes beyond immediate clinical relevance. It offers lessons for researchers establishing population-cohort and genomic-medicine projects elsewhere. The UK Biobank benefits greatly from the infrastructure and centralization of the United Kingdom’s National Health Service (NHS). In addition to recruitment through NHS centres, the project follows participants by accessing their health records and national registries, including those for deaths and cancer diagnoses. Notably, the UK Biobank is the first project to demonstrate the successful collection and sharing of linked genetic, physical and clinical information on a population scale. All involved should thank the 500,000 volunteers across the United Kingdom who responded to their invitations and agreed to contribute their time, samples and health information. Buoyed by this success, UK Health Secretary Matt Hancock last week confirmed a significant expansion of genomic medicine in the NHS, which will grow the 100,000 Genomes Project to sequence the genomes of 1 million people through the NHS and the UK Biobank. This is part of an even more ambitious project to sequence up to 5 million genomes over the next 5 years, including those of seriously ill children and people with rare types of cancer. Such scale is important, but so is diversity. The UK Biobank is filled with people who lived near an assessment centre and agreed to participate. Aiming for a more diverse population is an additional challenge, but a worthy one. The All of Us cohort study in the United States is making efforts to do this with targeted recruitment. In many population-cohort studies, the data are not made accessible to other researchers until the initial findings are published, and even then only a few make their full data sets available. The UK Biobank, funded primarily by the Medical Research Council and the Wellcome Trust, and run as a charity, has taken an important stand. It has generously made its full data sets, as well as all results from studies conducted by researchers using these data, available from the outset. The value of such an open approach is clear. Since the UK Biobank opened general access to its database in March 2012, there have been at least 8,294 approved registrations, and 796 formally registered projects are under way. The results of these studies have been communicated in more than 500 publications in peer-reviewed journals and in over 100 preprints on a dedicated bioRxiv channel. In particular, this access has allowed researchers to quickly search for genetic associations for a large and diverse collection of clinically relevant traits. A News Feature on page 181 explores what we have learnt from these larger-scale studies about genetic risk of disease, particularly the development of risk scores involving multiple genes, which could help to guide preventive measures for some common ailments such as coronary artery disease. Although controversial, such tests are already being developed commercially. Many of these studies have aggregated UK Biobank data with other data sets to enable studies on a much larger scale, some reaching more than 1 million individuals. That is the future of medicine: wisdom from crowds.